Cut-out steel panel. The panel is set up on the banks of the river, near the edge of the water. 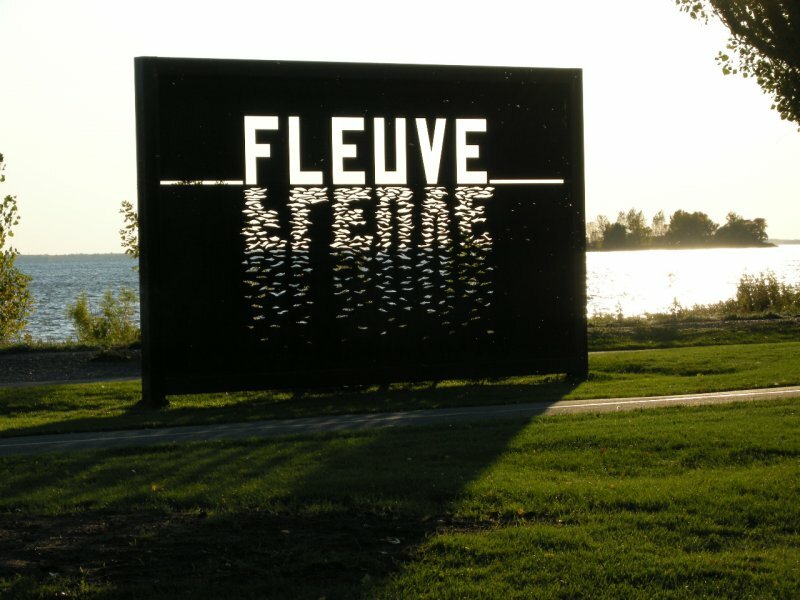 The openings create the word "Fleuve" ("River"). One can see the water through the openings. The work was created for the first Salon international de sculpture extérieure de Montréal (July 9 to September 7, 1992). The theme of the event was "Aux quatre vents" ("Blowing in the wind").